This course is all about: Originality, Beauty, Art and Having Some Fun in the Sun. This course is unlike anything before it, mixing polish with sand. 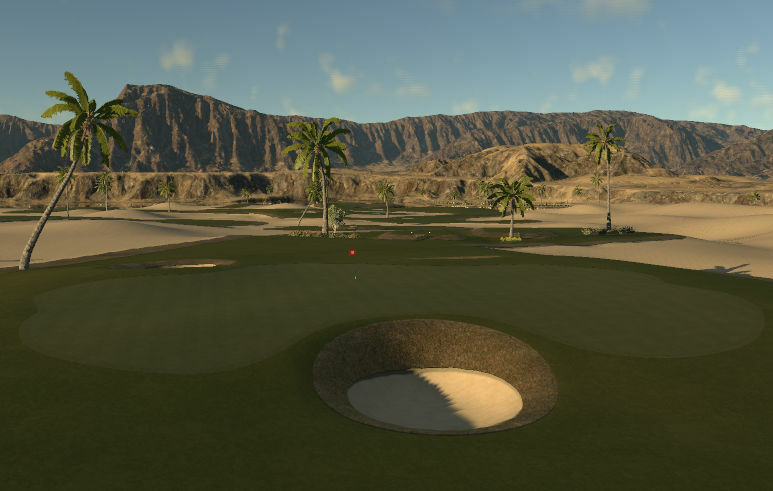 Its not a true championship style course, but it should offer up a challenge, the main goal was to make the best looking course I could muster up, will keeping it fair and challenging at the same time. Never heard of White Sands National Park? Check it out Its one of the most beautiful places on Earth, that is the inspiration for this course. Both firmness and green speeds are right around 12 o'clock, (medium) I beleive the yardage is about 7200, give or take, a 4/10/4 course. Have fun and dont feel shy in commenting about it if you did not like it. - One of the most interesting and unique taste designs to date. Very cool idea. - Bunkering was fantastic, which is saying alot because there is a ton of it. - I really liked the holes that went along the water. - Despite the unique idea, I feel that a few of the holes felt exactly the same. Another unique creation from Tastegw! 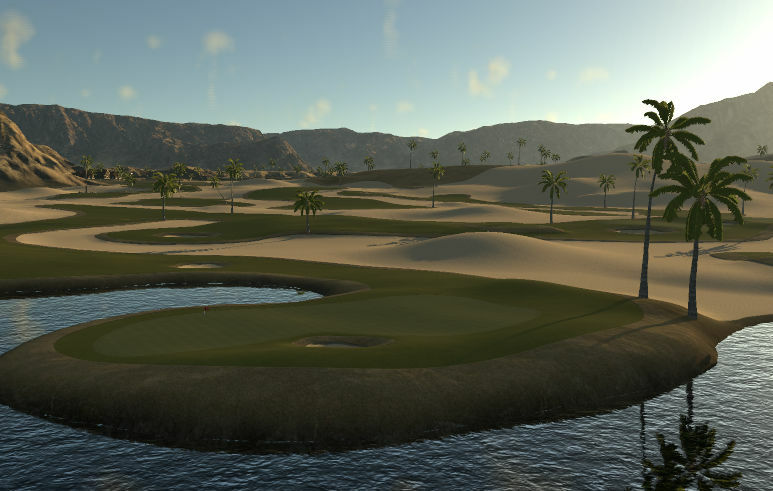 With the ocean of sand and flowing fairways, this looks like nothing else in this game. Reminded me quite a bit of Redwood actually. I liked the look of this better, but preferred the layout of Redwood. The huge, gently, sloped greens are a good challenge even if the scale of things puts the course firmly in fantasy space. 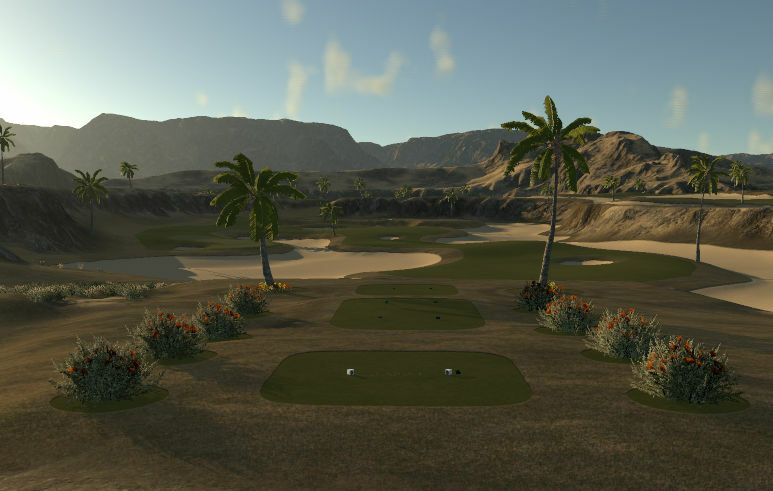 Well worth to play multiple times as it provides a very different visual experience than most courses! Taste does it again. Brings a whole new original feel to an existing theme. No one does it better. Really nice to play. Tough but fair. With different sand textures, this would look out of this world.